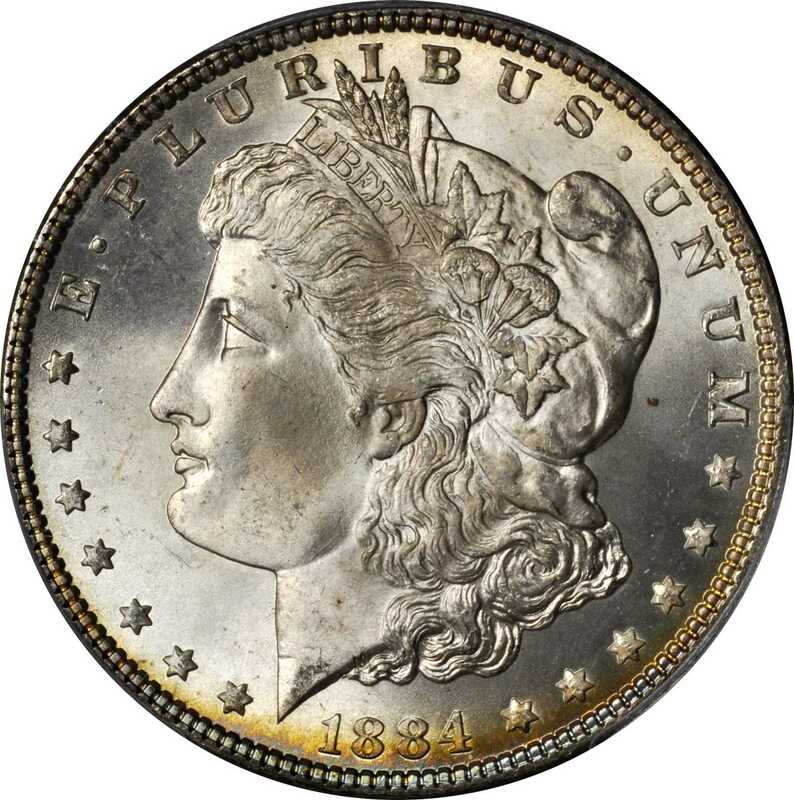 1884 Morgan Silver Dollar. MS-67+ (PCGS).A magnificent Superb Gem with silky luster in the fields and a more frosty texture across the devices. The surfaces are virtually pristine, lacking in an consequential marks and remaining fully undisturbed across the highest points. The complexion is overall brilliant and snowy, accented by crescents of gold and sapphire iridescence that paint the borders on each side. A truly exceptional piece to examine in-hand. 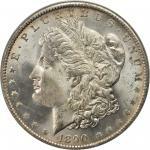 Though struck to a sizeable mintage of 14,070,000 coins, survivors are notably scarce in grades above MS-66. The current example is among the finer pieces known and just 3 coins have been certified finer by PCGS.PCGS Population: 13; 3 finer.